Petrolo has Roman origins. In fact, the original settlers on what is the estate today, hailed from Rome and were likely ancient Etruscans that migrated here some 3,000 years ago. History that rich is hard to fathom let alone honor and continue. However, when the estate was acquired in the 1940’s by the Bazzocchi family, that’s exactly what they set about to accomplish. 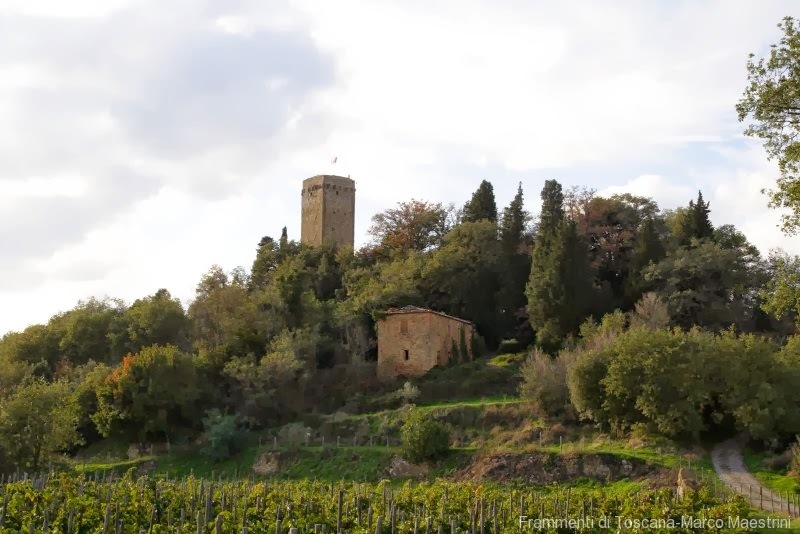 Today, Fattoria Petrolo stands on pristine vineyards in central Tuscany and crafts wines that are some of the best in Italy. Indeed, Galatrona, the 100% pure Merlot which gets it’s name from the tower that dominates the vineyards at Petrolo is one of the greatest Merlot in Italy. With the spotlight shining so brightly on Galatrona, the subject of this article is often overlooked. And what a mistake that is! 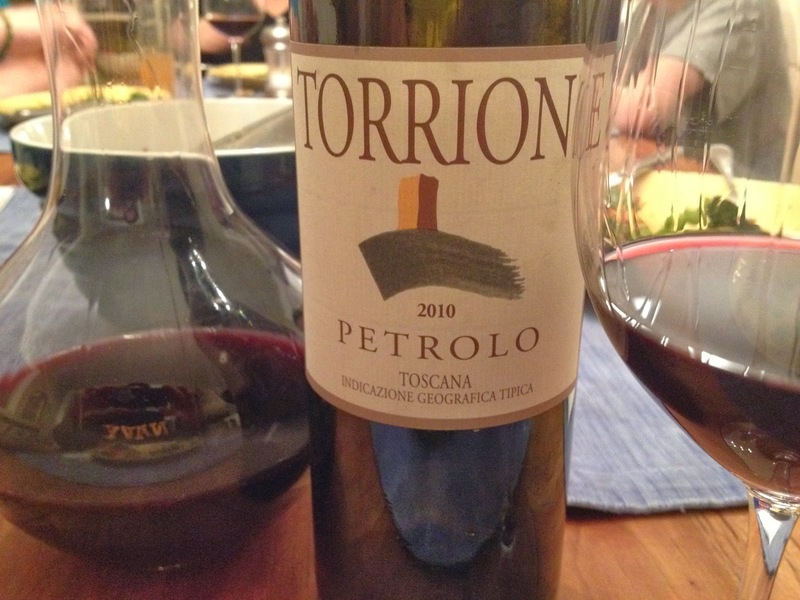 Despite some previous missteps with the 2010 vintage that I’ve documented – the wines are young and not showing well – I wanted to try the 2010 Torrione to gauge whether to add it to my cellar. In light of the tight 2010’s I’ve tried, I decided to decant this for 2 hours prior to dinner and it clearly paid off. At initial blush, the wine was tight and lean and not very expressive. However, by the time dinner rolled around, the wine had blossomed. It’s a dark violet in the glass and decanter. No sediment has formed at this time. Aromas are pronounced with flowers, new leather and a massive core of crushed wild berry fruit. On the palate, the wine is full bodied and tannic, but expertly crafted with a sensual texture that caresses. The core of wild fruit is primary, but accented already with some anise and a touch of tobacco. Torrione is 80% Sangiovese, 15% Merlot and 5% Cabernet Sauvignon. It’s aged in a combination of used barrique and ten year old Slavonian botte for a total of 15 months and then refined in bottle for about 6 months before release. Very well done and yes, there’s more in my cellar. 93 points, about $32. It absolutely should be. When you consider that comparable wines – and there are many great ones – cost between $70-$120 this one is an absolute no brainer. And, this 2010 will have a long lusturous life. I've spoken to Petolo's winemaker. Like most others in Tuscany, he is crazy about his 2010's. I've had a handful – Cepparello, etc.. and they seem tightly wound. Put them away or do a long decant. I think we'll be happy with these in time.